Enter a name, then if you want to take advantage of a Template at this stage, we'll be covering templates in more detail in the templates section. Next, choose from one of the supported SCMs if you have your code hosted there. If choosing a supported SCM, you'll also have the option to add an automatic deployment hook directly to the repository when selecting it. 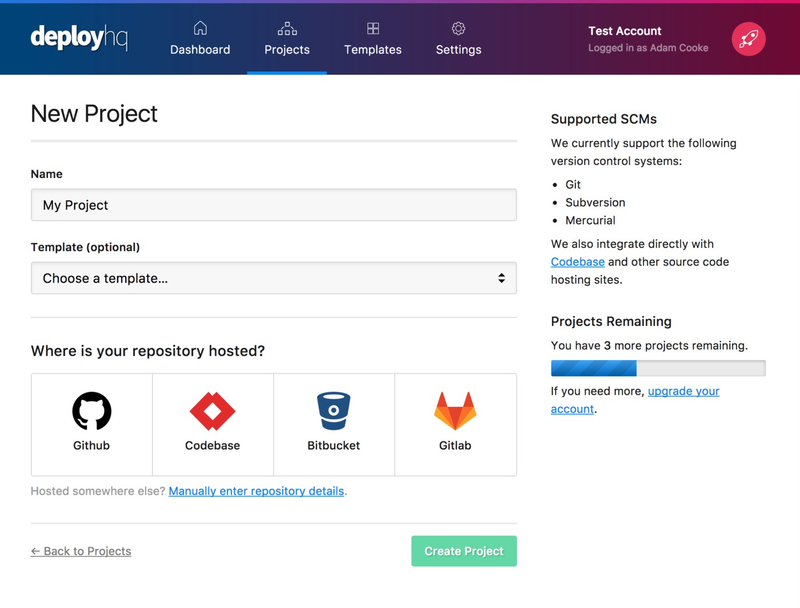 Otherwise, if you're using a different service or hosting the repository on your own servers, you can choose the option to Manually enter repository details. See the list of common repository issues if you have any trouble connecting your repository.